Well, it has taken us until this past weekend to get back to Bay Shore, but it seemed to be a just perfect choice for an early Sunday supper, a nice drive from our house to enjoy the cooler shore weather and breezes. We arrived just around 5-5:30 in the afternoon to find the screened-in deck full with other diners, but that was all right; we prefer the cooler, indoor dining room anyway. 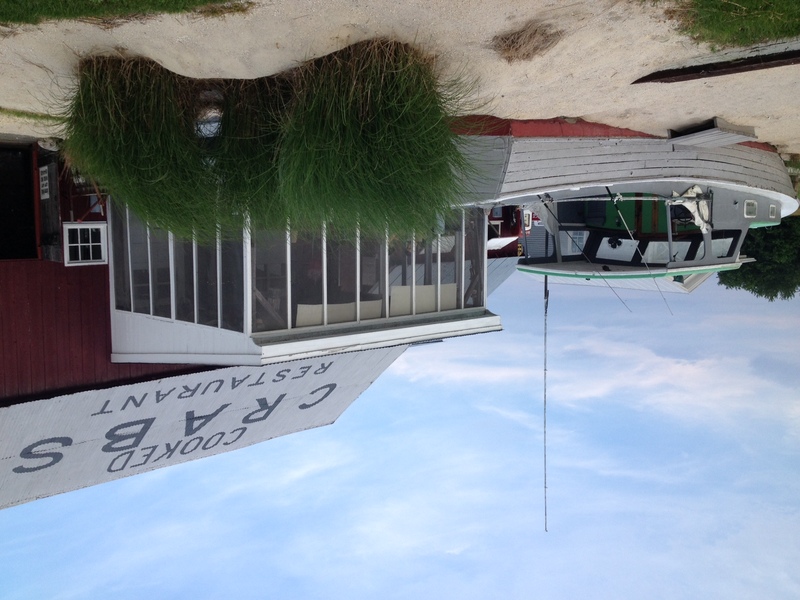 It was more than a little disappointing, however, to learn that another table had just ordered the last half-dozen of local Jersey crabs available for the night. True there are other things to enjoy on the menu, but I’d had my heart set on a big plate of those tasty, seasoned crabs like last time (even if they are the most expensive thing on the menu at $35/dozen.) 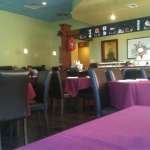 But we weren’t about to get back in the car and drive home, and I figured this was a chance to at least sample and review some of their other offerings. 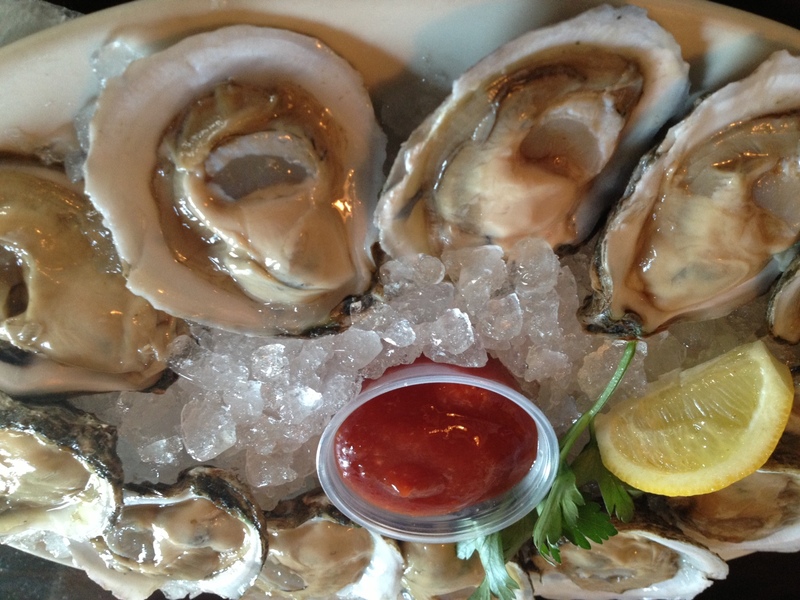 Of course, we couldn’t pass up a plate of oysters on the half shell to start, just like last time. These Delaware Bay “Beauties” sure live up to their name. 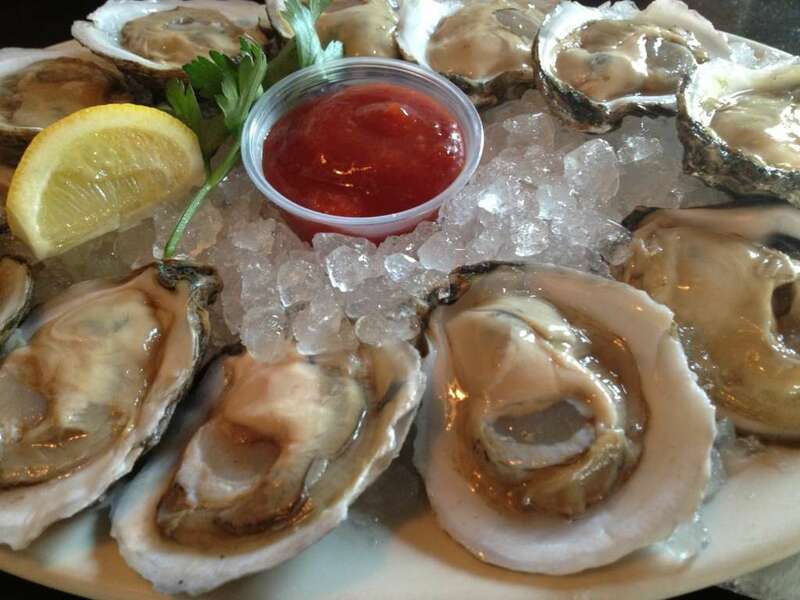 Meaty, fresh, sweet and well-shucked, they were slurped down almost as fast as our plate hit the table. I do wish their cocktail sauce was a little spicier, though; maybe I should ask for some extra horseradish on the side next time. 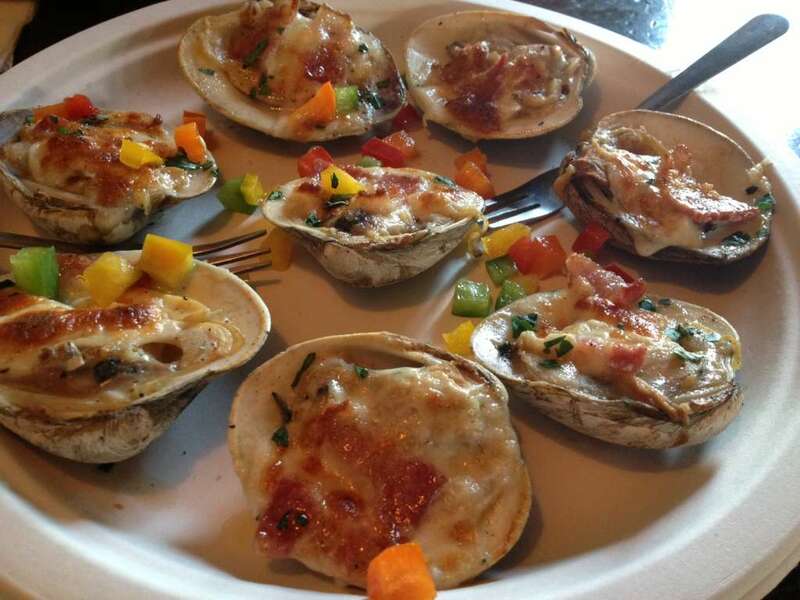 The clams casino were a dish we hadn’t tried before, and they ended up being a great follow-up to the oysters. Broiled and topped with cheese, bacon, onions and sprinkled with colorful bell peppers, they were absolutely delicious, warm and just left me hungry for more. They also went down great with the cold beer we’d remembered to bring this time (Bay Shore Crab House is BYOB). 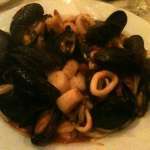 Sadly I wasn’t quite as impressed with my course of a main dish, the mussels with linguine and red sauce. 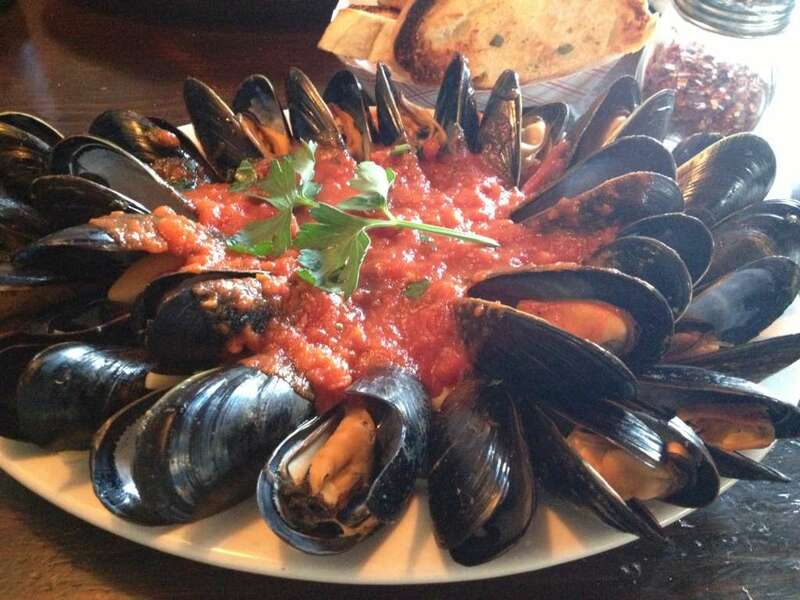 It certainly looked impressive when it came out: a plate ringed with two circles of big, meaty mussels overwhelming the linguine and spicy marinara sauce in the center. But that “showy” presentation meant that none of the flavors were really blended together at all. The mussels themselves lacked any notable seasoning, and had clearly just been cooked separately, not mixed in to any element of the sauce. The sauce itself was nice and spicy, but just dumped on the pasta instead of incorporated with the noodles (which is the proper Italian way to dress pasta!) The linguini was somewhat watery, which diluted the intensity of the sauce, and a little overcooked—perhaps pre-cooked and left sitting in water so the noodles wouldn’t stick together? Overall, I was disappointed. This dish was about what I’d expect in a dinner that just is mass producing pasta dishes, but not a small little seafood house like this. My sweetie’s linguine with crab sauce was a little more flavorful, to my taste, but again suffered from the sauce just being poured over the pasta instead of being properly mixed together, and the pasta itself just bland and a little overcooked. 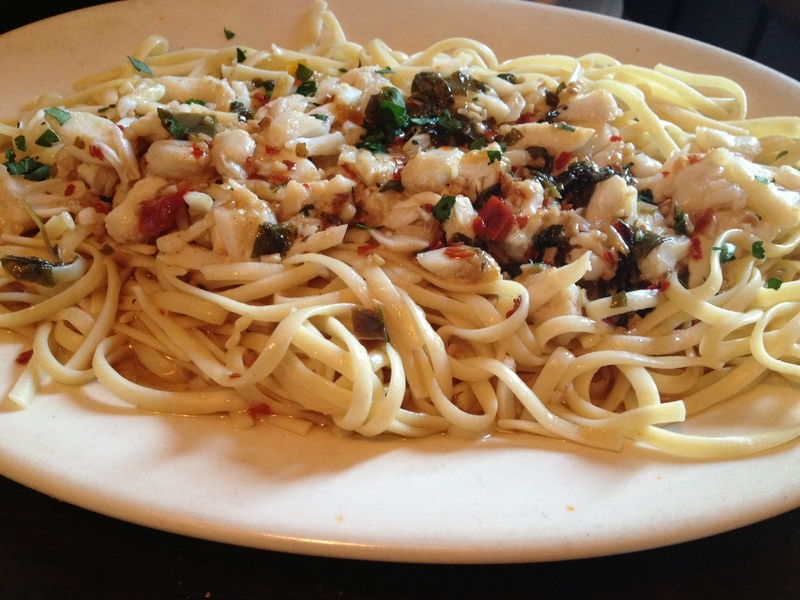 Next time we go, I will definitely skip the pasta entrees. 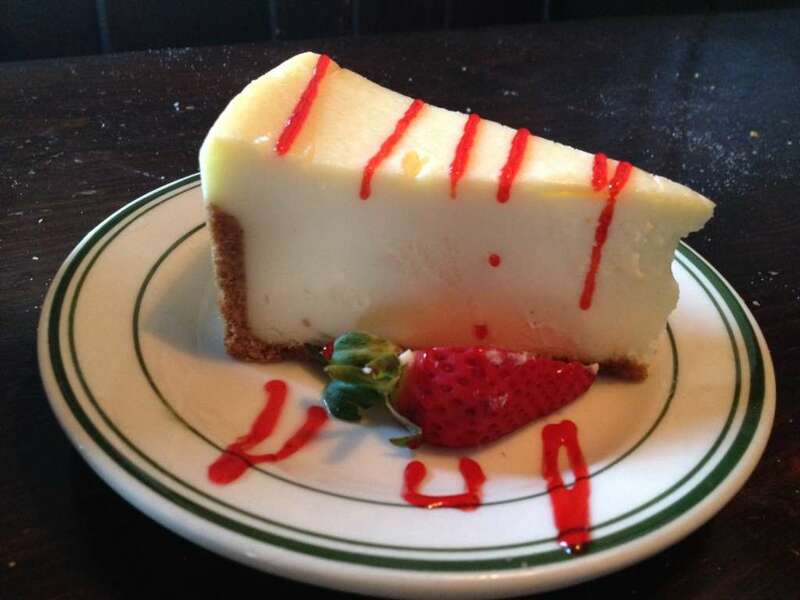 We did finish on a better note with a slice of their cheesecake, which was surprisingly light and a nice way to end the meal. 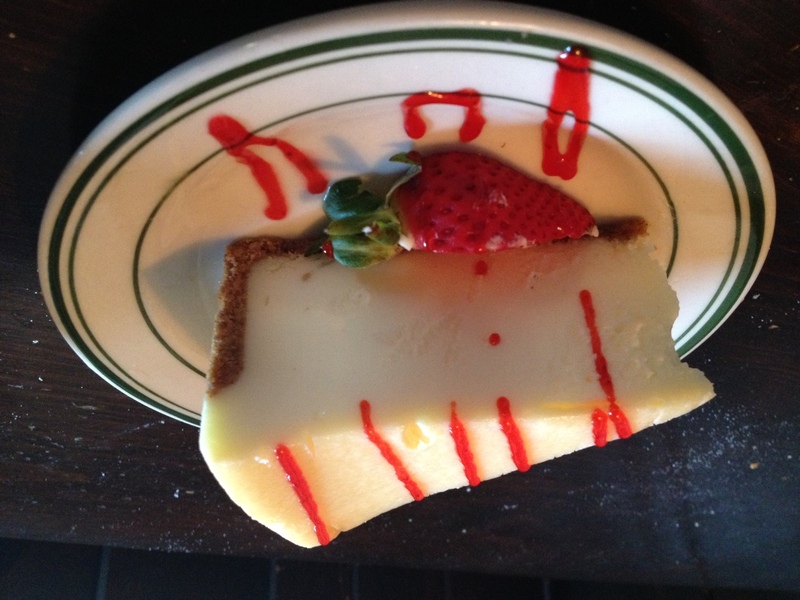 But as we were enjoying our dessert, another party of two came in and were discussing what to order. My sweetie leaned over to mention that they were out of the crabs and they definitely seemed disappointed about that, as we had been. 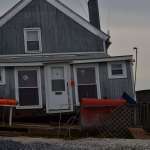 When they asked the waitress about it—the same waitress who had served us—she mentioned that they did have king crab legs available, just not the local whole crabs. I wish she’d mentioned that to us! I would have definitely ordered the king crab legs (as this couple did) instead of the linguine if I’d known they were available. So that was a little off-putting from a service point of view. 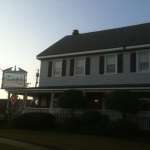 So yes, we will go back, and overall I still like Bayshore Crab House a lot. I just would recommend avoiding the pasta dishes if you are fussy about pasta as I am, and stick with the basic shellfish classics like oysters, clams and whole crabs—when you can get them! Next time I might call ahead, and definitely arrive earlier to be sure they will be available. 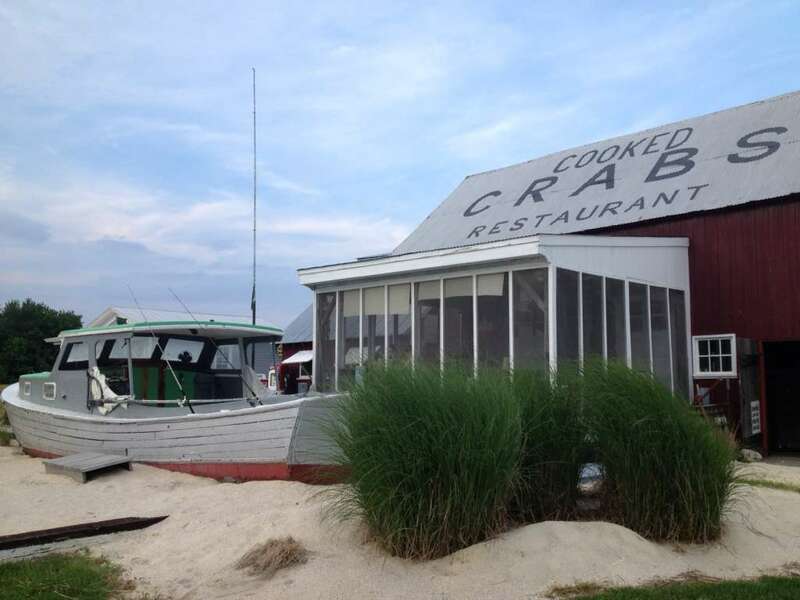 This entry was posted in South Jersey restaurants and tagged bayshore crab house, bull on the barn, byob, crabs, newport, restaurant review, seafood, south jersey. Bookmark the permalink.